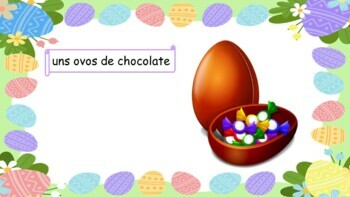 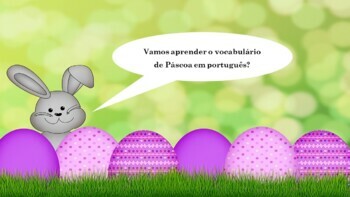 - This creative and fun material is excellent to introduce and practice the vocabulary of Easter in Portuguese. 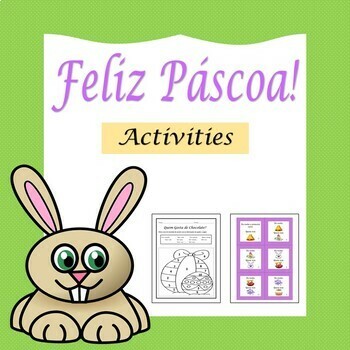 3) two pages with reading comprehensions, one with listening comprehension, and one with a writing activity. 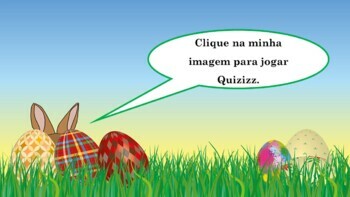 4) three pages with 16 cards to play and practice the vocabulary of Easter orally (“Eu tenho... Quem tem...?” Game).